Become the spirit of nature you've always wanted to be. 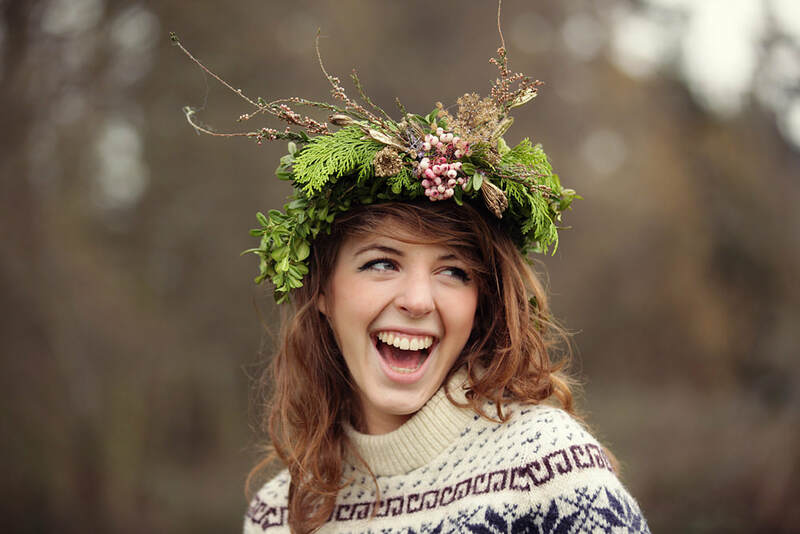 Make a wild-child garland from natures harvest. 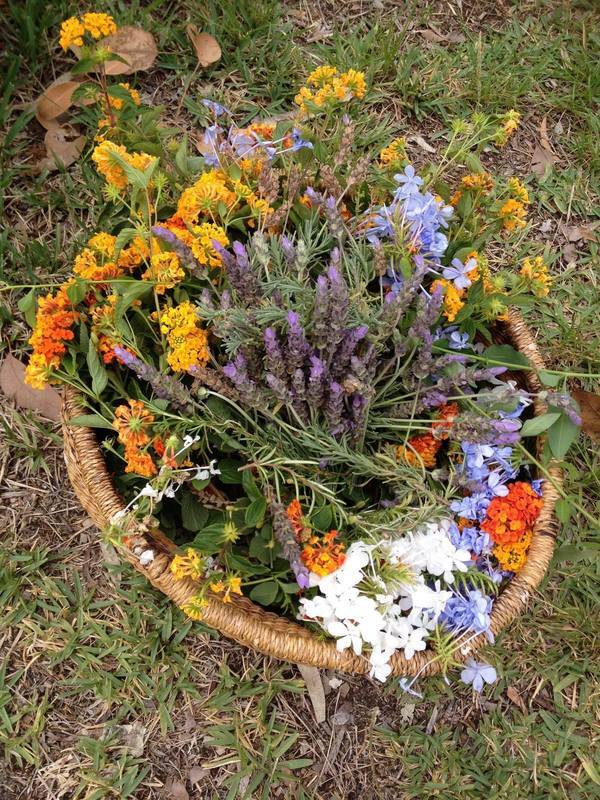 Nature Craft Activity using freshly harvested garden clippings. These garlands are beaming with leaves, flowers and tree nuts. To run this activity we ask the community for 'safe' plants that are in need of a prune. We collect from the community the day before an event so we can bring baskets of freshly cut greenery. Not only does it look splendid, it also smells divine. You'll also love the pics of your happy flower crowned patrons!! ​Whatever fresh leaves and flowers that are seasonally available from our friends, family and neighbours. Some events have asked us to prune local shrubs and trees at the event and we've been happy to come early and harvest locally. We only take what we get permission to prune and of course we ask the faeries if it's okay too. We also use a small amount of natural twine to create the garlands shape. Patrons choose their materials then sit on the soft floor rugs to happy weave their fresh garlands. Faeries assist people and weave through their stories, songs and enchantments as they go. A treasure that is earth friendly. Your garlands can be used as a table piece, a door decoration, dried out so it can be kept for longer or it is 100% compostable.